Is your young style maven adorning accessories that may be too mature-looking for her? How about your toddlers … are they sporting sparkly baubles a baby could swallow? Whether the jewelry-loving junior fashionista in your life is 18 years old or 18 months old, age-appropriateness is important. Yes, you read that correctly: 18 months old. Some children are introduced to jewelry even earlier than that. And who am I to judge? I’ve loved jewelry for as long as I can remember. My mother told me that everyone thought she decorated my nursery in white plus primary colors of red, blue, and green. They’re wrong. The décor was gemstones: ruby, sapphire, and emerald. The white represented diamonds, of course! When it came to buying jewelry for me when I was a child, mom took care of that — with age-appropriateness in mind. After I turned 18 years old, mom let me loose on the jewelry stores to shop as I pleased. Here’s some helpful tips on buying age-appropriate jewelry for girls at three key stages of childhood. At this age, safety is a huge concern. Most infants and some toddlers are putting just about anything they can get their little hands on into their mouths. Beads, lockets, charms, tiny rings and other small jewelry pieces can pose a danger for choking. A necklace can become a strangulation hazard. Another concern is whether your child has an allergy to any of the materials used to make jewelry items. For example, allergies to certain metals such as nickel, gold or silver are common. Be on the lookout for allergic reactions if you do put jewelry on a child who is too young to verbally communicate if there is a problem. Also, some costume jewelry contains lead — which can cause some health problems in certain situations. Boutiques, shops and online venues such as In Season Jewelry, which specializes in jewelry for small children may be the best place to start. 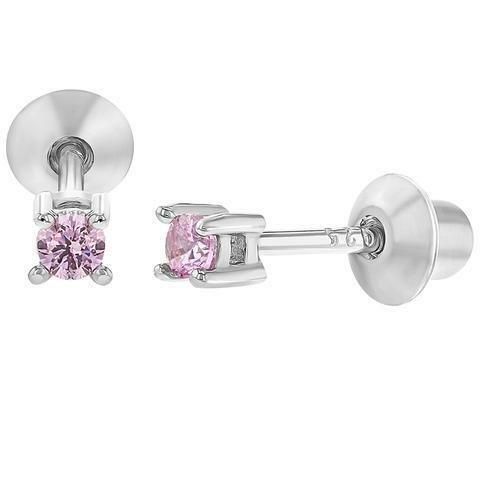 If you feel that your infant or toddler is ready to have her ears pierced, a pair of small studded earrings with very secure backings could be an option. Just be sure to have a trained professional do the piercing. Most professionals have age minimums for those seeking piercings. Clip-on earrings are not an option because they come off easily and can be swallowed. Instead of an actual bracelet or anklet, consider an anklet or bracelet made of a soft, comfortable fabric that fits closely — but nottightly — around the skin. Dangling jewelry can pose problems and even safety hazards. Avoiding actual jewelry, other than small earring studs, can also deter bold thieves who wouldn’t think twice of stealing candy, or anything else, from a baby. Now that the putting-everything-in-their-mouths stage is done, young girls in this age group can handle earrings slightly bigger than studs, plus bracelets and necklaces. When selecting jewelry for them, keep proportion in mind. Their small faces should not be visually overpowered by earrings which resemble small chandeliers, and their small hands and wrists should not be overrun with overly chunky bracelets and rings with super-large stones! And speaking of rings: Some girls in this age group might find a ring uncomfortable, or even distracting. The sensation of wearing a ring may be something that a new ring wearer may have to get used to at first. Plus, girls are more likely to take off their ring to wash their hands and the ring can get lost. Maybe start with a few pieces of genuine, delicate jewelry (real gold or silver, genuine stones, etc.) and designate those pieces for special occasions. Just keep in mind that thin jewelry of lower karat weight tends to be very malleable. That can result in damage and breakage. Costume pieces for everyday wear is the way to go! But if you want to go for the real thing at this age, you may consider instructing to her take off her genuine, delicate pieces before going to play. By this point, most girls’ fashionista tendencies are getting stronger. By now, the girls have figured out that jewelry is another way to express themselves — and they’re finding bolder ways to do it. Many of these girls will be making numerous requests (or rants) for non-traditional piercings. That’s definitely a personal, parental choice on which I have no guideline to offer. 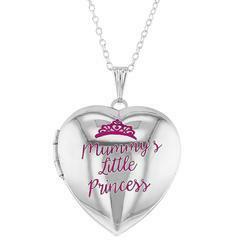 Back to more mainstream jewelry items, the good news is that girls at this age are much more capable of keeping tabs on their belongings … and appreciate the value of genuine, delicate jewelry. Also, they’ve grown and their bodies can handle slightly larger, thicker or chunky jewelry pieces. With each year they age, the jewelry can be more adult-looking. But again, keep proportion in mind. Mid-size stones, necklaces, bracelets, and anklets are okay. Continue to shop with your teen occasionally (they’ll be okay with that if you’re buying! ), and allow her to try on different types of jewelry. See what she likes. See what you think looks good on her. And, see what looks age-appropriate on her. You’ll know it when you see it. And when she turns 18, let your little fashionista loose on the jewelry world! Happy shopping! ← The Gift of Life: Is Tuboplasty the Answer to Your Infertility?